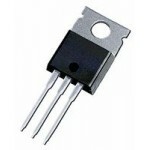 Buy online MJE13003D NPN Power Transistor in India at low price from DNA Technology, Nashik. 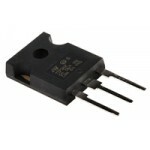 Product Images are shown for illustrative purposes only and may differ from actual product. GST Invoice on all Purchase. So you will be eligible to take input tax credit. IF component not in Stock or require more quantity or want to buy in bulk e-mail us your requirements on: dnatechindia "at" gmail.com. Shipping : Same day dispatch for Most orders if payment done before 4 pm. Delivery Normally takes 2 to 7 working days depending upon your location. 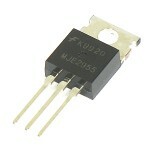 MJE13003D is HIGH VOLTAGE FAST-SWITCHING NPN POWER TRANSISTOR. 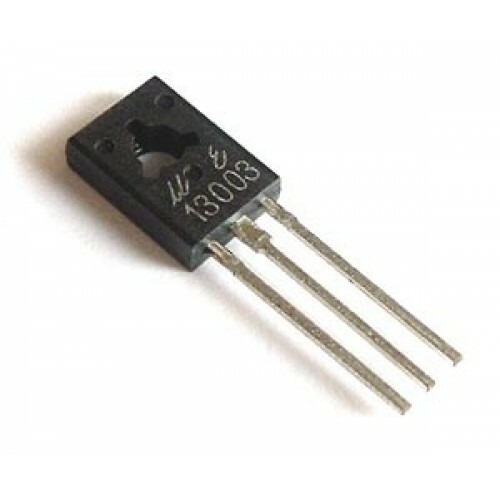 The UTC MJE13003D is a NPN Power Transistor. 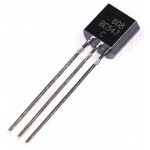 It is intended to be used in applications requiring medium voltage capability and high switching speeds. 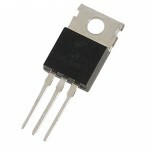 AM2302 Sensor ModuleAM2302 Temperature and Humidity Sensor Module (wired DHT22 Sensor)The AM2302 is ..
XH-W1401 Temperature Controller Module XH-W1401 12 volt Digital Thermostat ModuleXH-W1401 is a ..
MPR121 Touch Sensor ModuleMPR121 12 channel capacitive touch sensor moduleThis module is based on NX..
Prototyping Shield For Raspberry PIDIY Prototyping Expansion board for Raspberry PiThis prototyping ..
MAX 550 Micro Soldering StationThis is a prefect low cost solder station if you are looking to solde..
Samsung ICR18650-26J 2.6Ah BatteryOriginal Samsung 18650 2600 mah Lithium-ion BatteryThis is or..
SPDT 3 Pin 2 Way Toggle SwitchMTS102 Single Pole Double throw (SPDT) ON-ON type Panel Mounting switc..
Mega Pro 2560 Development Board Mega 2560 Pro a Atmega2560 based compact Arduino MegaThis..
BC547 NPN Transistor BC547 is an NPN bi-polar junction transistor. 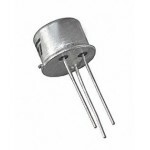 Features Of B..
SL100/SK100 NPN SILICON RF POWER TRANSISTORSL100/SK100 is a NPN medium power transistor. 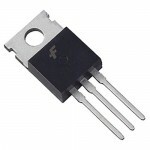 It can be u..
BD140 NPN Power TransistorThese epitaxial planar transistors are mounted in the TO126 plastic p..
TIP142 NPN Bipolar Junction Transistor TIP142 NPN Bipolar Junction Transistor is Complementary power..
TIP31C NPN Power TransistorThe TIP31C is a base island technology NPN power transistor in TO-220 pla..
MJE2955 Power TransistorThe MJE2955 is a silicon Epitaxial-Base PNP transistor in Jedec TO-220 packa..
MJE13005 NPN Power TransistorThese devices are designed for high−voltage, high−speed power switching..
MJE13009 NPN Power TransistorThe MJE13009 is designed for high-voltage, high-speed power switching i.. Copyright © 2015 DNA TECHNOLOGY, INDIA . All Rights Reserved.